In a Nutshell: PayScale uses an extensive amount of data to bring salary information out of the shadows and into open conversations between businesses and individuals. 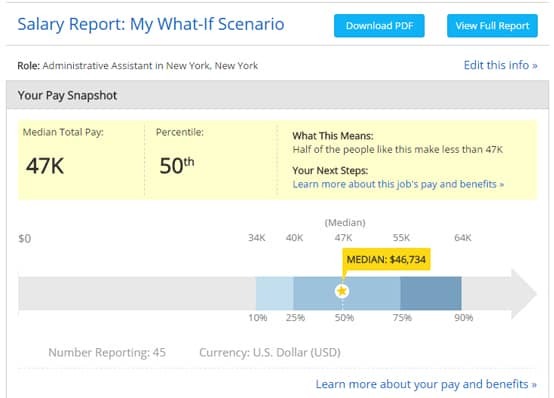 With in-depth salary analysis features and tools, PayScale allows individuals to see exactly what they should be paid and to feel comfortable asking for more compensation. PayScale also allows businesses to be proactive by knowing what the current market value is for the jobs they want to fill, enabling them to make more competitive offers. PayScale wants both sides to have all of the data needed so when they come together, it can be a harmonious and productive partnership. When I got my first job out of college, I was ecstatic. Finally, I had plenty of money to cover all of my expenses, including rent on a sweet studio apartment, and I even had a good amount of disposable income for going out with friends, and taking road trips. While out with my friends one day, I met a girl, and we started dating a few weeks later. After dating her for about a year, I felt a little out of place in that studio apartment, so I upgraded to a one-bedroom. Two years down the road I married that girl, and we moved into a three-bedroom house together. It had a big backyard, which was perfect for the dog we rescued from the local animal shelter. Six months after moving in, we learned we would be having our first child — a baby girl. As I looked back on my life to that point, I was so happy with every change along the way: the girl, the house, the yard, the dog, the baby. Through it all, though, there was one thing that remained the same: the paycheck I was getting from my job. Sure, I asked for a raise every once in awhile, and I was always told that it would be looked into, but the numbers on my check never did change. While my life was wonderful, my credit rating was bottoming out and finances were starting to become a bigger issue than I had anticipated. The biggest problem was that I had no idea exactly how much I should be paid. This is the very real problem that PayScale is looking to solve, from the ground up. It all starts with an individual going in and setting up a profile, entering employment, salary, and location information. Over 54 million people have profiles on the site, allowing PayScale to have a robust set of data from real people. In fact, PayScale touts it as the largest database of individual compensation profiles in the world. The impact these profiles can have is both personal and far-reaching. From left: PayScale CEO Mike Metzger, Senior VP of Marketing Tim Low, and VP of People Stacey Klimek. “PayScale is a cloud compensation software that allows both businesses and individuals to research and understand what they should be paying or what they should be paid,” says Stacey Klimek, Vice President of People at PayScale — which is the company’s term for the head of human resources. With more than 150,000 new survey records added every month, PayScale has become a valuable tool for businesses, too, making it easy to see what fair compensation for an employee looks like in real time. The result, for both individuals and industry, is an open and informed conversation about salary where there were once only shadows and secrecy. During your early years, you might have heard a parent or grandparent say, “Never talk about money” or “Don’t tell people how much you make.” This advice is in line with etiquette guides from the late 1800s that also said, “Never discuss politics or religion in polite company.” Anyone with a computer knows that advice was thrown out of the window around the time the internet was invented. So, why don’t we talk about money? In an age where we know exactly what our sports idols and favorite movie stars make, we are still hesitant to discuss our own finances. This is why PayScale is on a mission to make compensation more transparent. PayScale is able to accomplish that with data — an astounding amount of data. One chart from PayScale shows how our perception of how our paychecks compare to market value can be skewed. 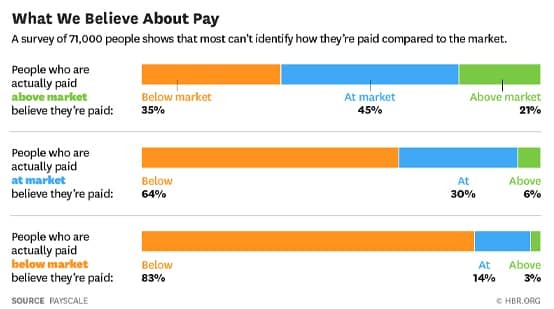 Although 83% of people who were paid below market value believed they were, in fact, being underpaid, 35% of those making above market value believed the same thing. This chart shows that while many people feel they are paid below market value, that isn’t always the case. This shows that many people feel undervalued at their jobs no matter how much they make, but with PayScale’s data, they can be much better informed about their situations and, perhaps, change their mindset. “We crowdsource data all day, every day on the web,” Tim said. That fact-based, personal, and constantly updated data is what drives businesses to work with PayScale. What drives individuals to provide data is the mountain of knowledge they can access about what they should be paid. Whether you agree with the advice about not talking about your salary, you should still have an idea of where you stand financially. With PayScale’s in-depth questions and analysis, you will be loaded with enough information to know exactly how much you should be making. While a salary does not define a person, it can certainly have a huge impact on quality of life. Knowing when (or how) to ask for more money to help yourself out of a financial rut or bad credit situation is crucial, but too often that path isn’t pursued. To start down that path, go to PayScale.com and get a salary report. You will take a survey filling out information on your current job, or your skill set. The surveys are anonymous, and you don’t have to answer all of the questions, but the more questions answered, the more powerful the data profile. What’s the median salary for an Administrative Assistant in New York City? PayScale can tell you that and more. Q: Why am I making less than what others with my skills and experience are making in my city? A: It could be that your company doesn’t even know what you are worth. Armed with the PayScale report, maybe it is time to talk to your boss and ask for a raise. Q: I am at the top end of how much I can make in my industry, but still need more, what can I do? A: Maybe it is time to pursue a new career path by going back to school or just gaining the necessary skills it takes to make the leap to a higher-level job in the same company. Q: Why am I being paid less than workers in other cities for doing the same job? A: For some jobs, location really matters. You may want to think about relocation to make more money, but also consider the cost of living in those cities, as well. Once you see the numbers and the insights that can be gleaned from a PayScale report, it is easy to get into a more proactive state of mind. The site is not just a tool for individuals, though. Businesses partner with PayScale for the same reason: to find out what an employee is worth. Companies used to have dedicated teams that crunched numbers and told the company what it could offer for every position. Now, it might be one person with too much information trying their best to juggle all of the aspects of HR, and letting updated salary info fall through the cracks. This is an area where PayScale is trying to make a difference with its cloud computing software. Businesses can use PayScale’s cloud compensation software to keep their salaries current with fresh data. PayScale’s software is designed so that even an HR novice has access to updated compensation data so salary decisions can be more in line with current trends. The lack of compensation transparency could be misconstrued as companies being shrewd and secretive with their information, but PayScale CEO Mike Metzger believes it could be that human resources offices are actually lacking in resources. 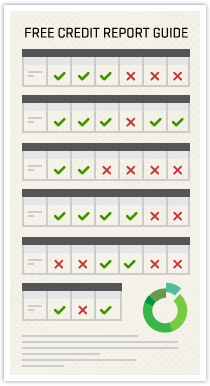 Making it easy on companies to make decisions is part of PayScale’s mission. Because of the amount of data PayScale collects from individuals, it has become a great tool for businesses. PayScale is working at both ends of the compensation spectrum and provides tools to help them meet in the middle. The data collected by PayScale helps change the dynamic of compensation decisions, shifting them from a misunderstood enigma into a thoughtful conversation. When someone knows exactly how much they should be paid and what steps they can take to earn more, they become enlightened. On the business end, knowing how much the market is paying key positions allows for an open dialogue to retain top talent. When workers and businesses are on the same page about compensation, PayScale believes everybody wins. Had I used PayScale to research and upgrade my salary, I may have never gone so far beyond my means and nearly crashed my credit score. I did eventually get on the same page with my boss and we were able to negotiate a fair salary, but it would never have happened if I hadn’t found out how much I should have been paid. PayScale is the tool that allows you to find out. Then it allows employer and employee to reach across the negotiating table and make everyone’s job more fulfilling.